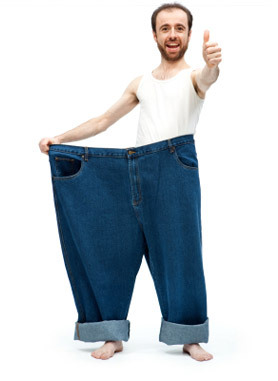 Legal marketing is like weight loss. Beware of hucksters. Legal marketing success requires hard work and a long-term commitment that many people find difficult to muster. And whenever the stakes are high and success is elusive, the ground is fertile for hucksters. Weight loss and legal marketing share this. In both instances: buyer beware. I bring this up because I recently came across a PowerPoint presentation delivered by a prominent player in the legal marketing space. It was about optimizing your website to “boost sales.” I thought that the presentation was deceptive. It wasn’t that the ideas contained in the presentation were patently wrong. The problem was that they made it sound like the barriers to successful marketing could be solved by implementing expensive technological solutions. This is seldom, if ever, the case. Just to be clear — these technologies and techniques can be helpful, if implemented under the right circumstances. However, most law firms don’t need these. Why? Because techniques like “marketing automation” are icing on the cake. If you’ve got a well-oiled marketing machine, maybe they’ll help you boost your results by 5 or 10 percent. By focusing on the icing — and not the cake — many firms will likely be distracted from mastering the basics that can yield the biggest immediate results, namely, writing and speaking in order to develop a reputation as an expert in your niche. So, how do you know if you’re ready to move beyond the basics — and embrace some of these advanced techniques and technologies? It’s different for each firm. However, I’d say that you’re probably ready if your firm is regularly producing a stream of high-quality thought leadership content (like articles, blog posts or podcasts) and if this content has garnered a loyal following. Short of that, I’d say you should save your money.